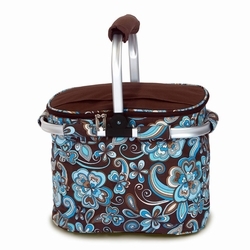 The Market Tote has become a “Must Have” accessory for a busy lifestyle. 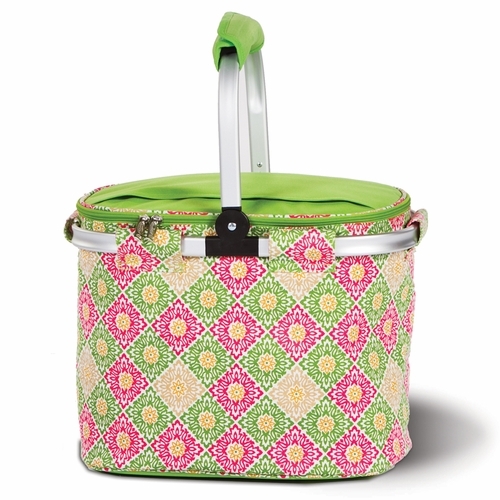 The Green Gazebo Shelby Market Tote from Picnic Plus is a deeper basket measuring 11 inches deep. 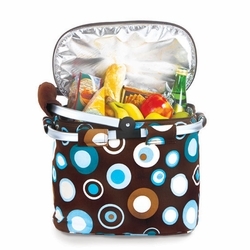 It’s insulated with thermal foil insulation to keep your food and drinks hot or cold for hours. 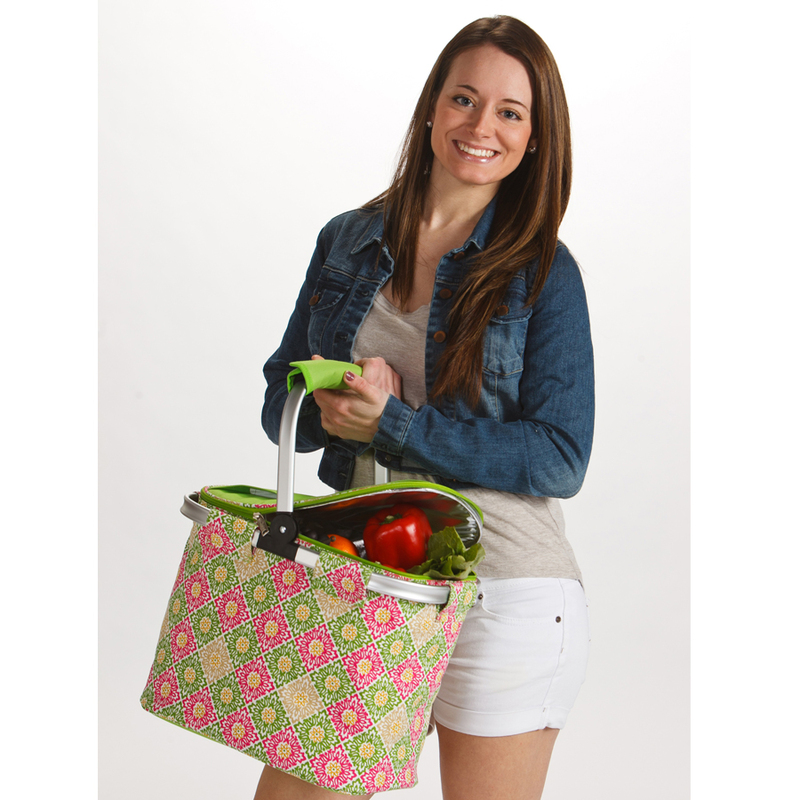 It features a convenient carrying handle, with a comfortable handle strap and is lightweight allowing this handy market basket to be a superb choice for a multitude of duties. Perfect for shopping, the beach, picnics, sporting days with the family or church gatherings. 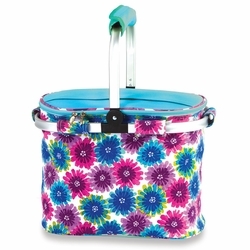 The lid has a zippered closure as well as an easily accessible pocket on top for containing small personal items or silverware. 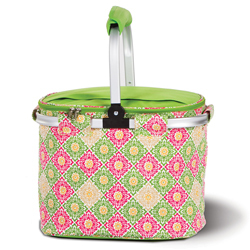 Once your errands or entertaining is complete, the Shelby Market Tote folds flat for easy storage in your home or car. Choose from our large assortment of stylish colors and patterns to find a tote that reflects your everyday style. You can also choose to have a monogrammed market tote by adding initials, a name or favorite team or saying. • If you choose to personalize your Market Tote, please enter your monogram or name EXACTLY as you would like it printed. • Please use capital letters and lower case letters as you would like them to appear. • Please list monogram initials in the order you would like them to appear. • We have a large selection of embroidery thread colors so please just enter the color you would like. Embroidery will appear on the top, solid portion of the market tote. • If monogramming this item, estimated shipping time is 2-3 weeks. • Without personalization, this Market Tote will ship in 2-6 Business Days, excluding holidays and weekends. • Shipping times are estimated and may be extended slightly during peak seasons or periods of high production volume, however, we will always do our best to achieve the 2-3 week time frame.